Borne of the quixotic quest for perpetual motion, the Jaeger-LeCoultre Atmos clock is more than just a marvellous time-telling mechanism; it is a vertiable objet d’art that has come to represent all that is true and beautiful in the art of timekeeping. For all the innovations that hadn’t escape the multi-hyphenate and prolific inventor Leonardo da Vinci including the helicopter, the grenade, the floating dredger and even the spaghetti-making device, there was one that gnawed at his genius: a perpetual motion machine. It was a concept that attempted to achieve motion indefinitely without an external source of energy. This, according to all known laws of thermodynamics, is inherently impossible. It wasn’t until four centuries after his death when Neuchâtel engineer Jean-Léon Reutter fulfilled this pipe dream with the creation of the Atmos Clock. 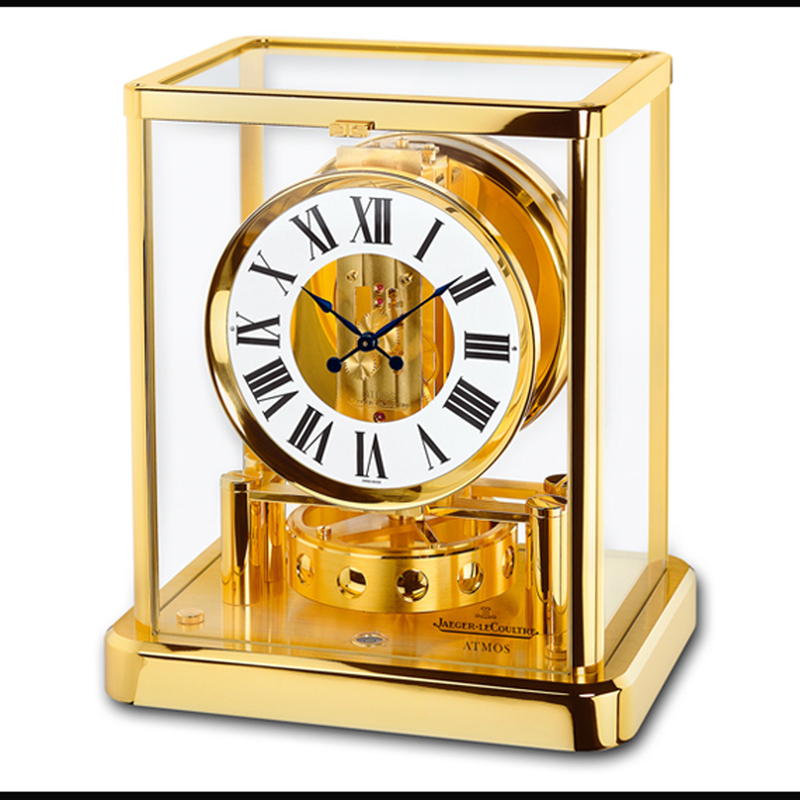 He designed an atmospherically driven clock that drew power from thermal expansion and contraction which by 1936 was then developed and produced by Jaeger-LeCoultre. The result was an undoubted triumph in chronometry that came astonishingly close to perpetual motion. In a modern Jaeger-LeCoultre Atmos, this would mean that when the temperature rises, the ethyl chloride within the canister of the clock expands and enters an expansion chamber which then compresses the winding spring, while gaseous version of the ionic compound condenses when temperatures fall, causing the spring to relax. This motion, in turn, drives a mechanism that winds the mainspring. Additionally, this ingenious innovation also exercises extremely low-friction engineering, to ensure smooth winding and a highly efficient transmission of energy. To get an idea of the delicacy of this minute energy transfer, consider that the friction of a conventional gear train would easily hamper its motion, which requires less than a millionth of a watt of power to operate. 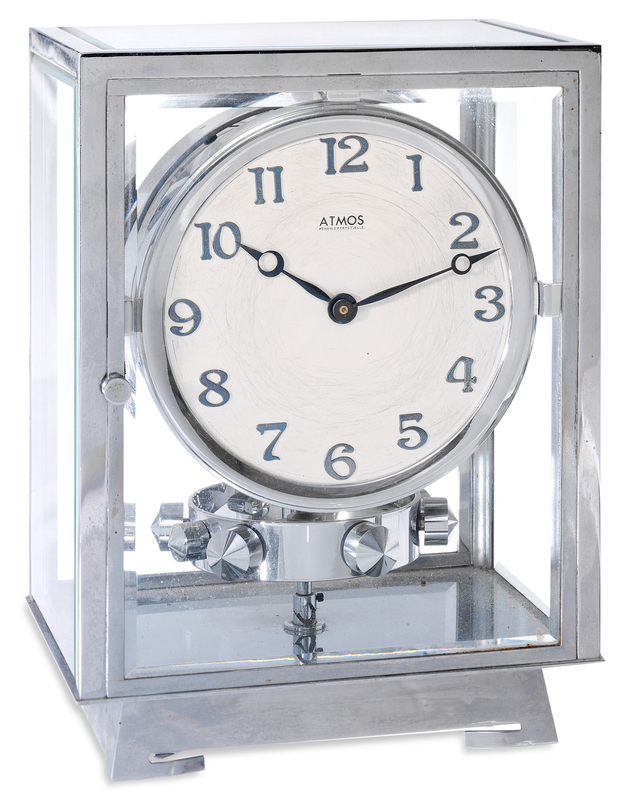 All components of the Atmos clock are incredibly precise and dependable, so that it operates virtually without any wear. It is therefore distinguished by its long service life which theoretically runs indefinitely as long as changes in temperature are minute. To conserve energy, the balance mass swings twice per minute and is suspended from an Elinvar wire, a nickel-steel alloy, which hardly expands and contracts when temperature varies. In late 1983, Jaeger-LeCoultre redesigned the Atmos and devised a new caliber. They also stopped the numerical labeling of models (previously they were named Atmos 0 – Atmos VIII and were based on the original Jean-Léon Reutter creation). Understandably, Jaeger-LeCoultre would then apply this extraordinary perpetuity on a grand scale with the Atmos Classique Phases de Lune. This complication loses a day of accuracy every 3,821 years, trouncing modern-day moonphase contenders as well as any quartz clock. 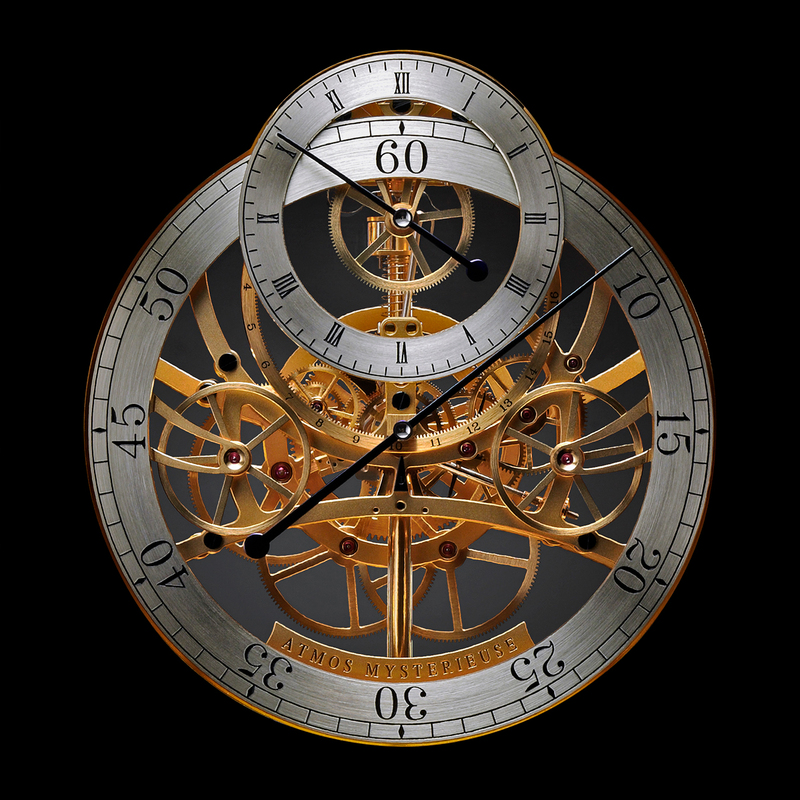 In recent times, there have been several interesting iterations including the Atmos Mystérieuse in 2003, driven by the Jaeger-LeCoultre Calibre 583 comprising 1,460 parts with the Baccarat crystal festooned with mother-of-pearl and diamonds. In celebration of Jaeger-LeCoultre’s 80th anniversary in 2008, the brand had launched three limited-edition models in collaboration with three different artists. The Atmos Marqueterie, conceived by marquetry artist Jérome Boutteçon, was dedicated to Gustav Klimt’s 1907 portrait of Adele Bloch-Bauer I, known as the Mona Lisa of Austria. Set against a backdrop of yellow amboynas burr, the Atmos Marqueterie is composed of exotic woods including Andean boxwood, East Indian satinwood, Lemon wood, madrona burr and blue amboyna burr, along with three shades of gold leaf. It is powered by the Atmos Régulateur movement, which features the months and moon phases in addition to hours and minutes. The second model was the incredible Atmos Astronomique, which was housed in a spectacular glass case etched with reproduced maps of the heavens inspired by Andreas Cellarius’ 17th century Harmonia Macrocosmica cosmographic atlas. The marvel displays an equation of time, a month indicator and a sky map for the northern hemisphere. 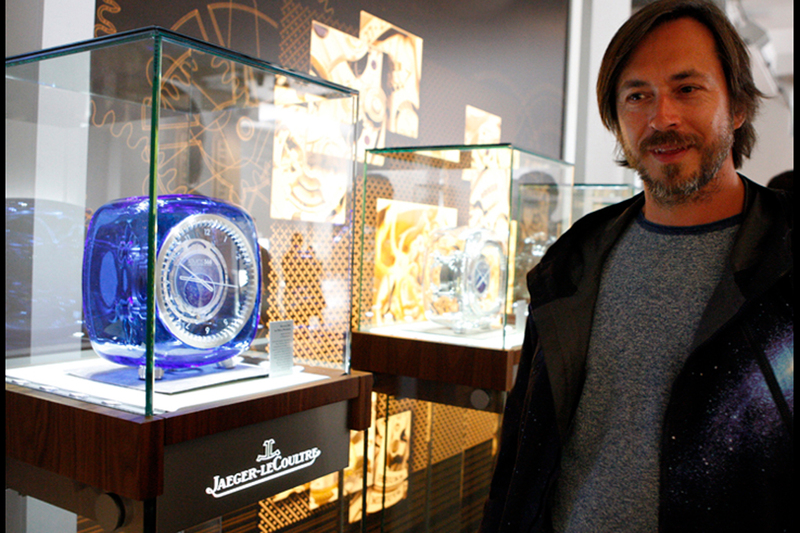 Last but not least was the Atmos 561, designed by legendary Australian designer Marc Newson. It was housed in a hand-blown Baccarat crystal case, offering a panoptic view of the movement. And its pure lines and contemporary curves commanded immediate attention. 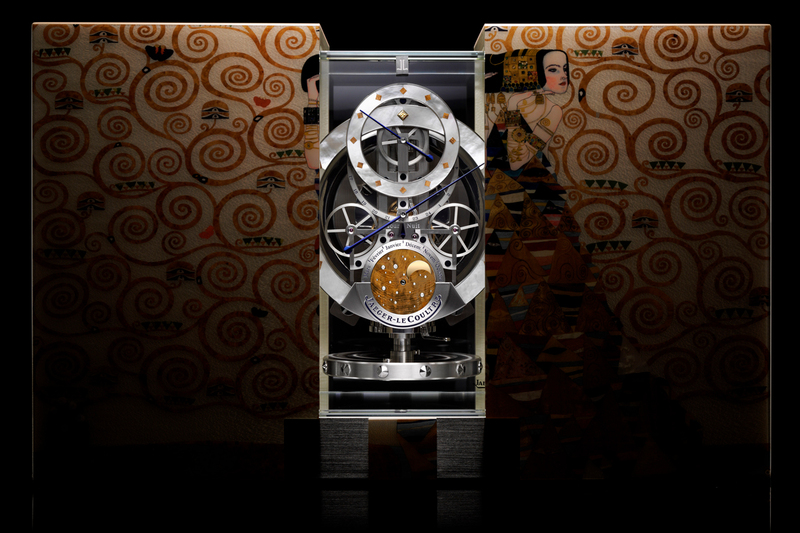 In 2012, the Atmos du Millénaire was launched in honour of Queen Elizabeth II’s diamond jubilee. It indicated the passing years, months, hours and minutes, and observes the moonphases on a dial graduated up to the year 3000. And in 2013, the Atmos Réédition 1930 was launched as a tribute to the era that witnessed the birth of the Atmos mechanism. 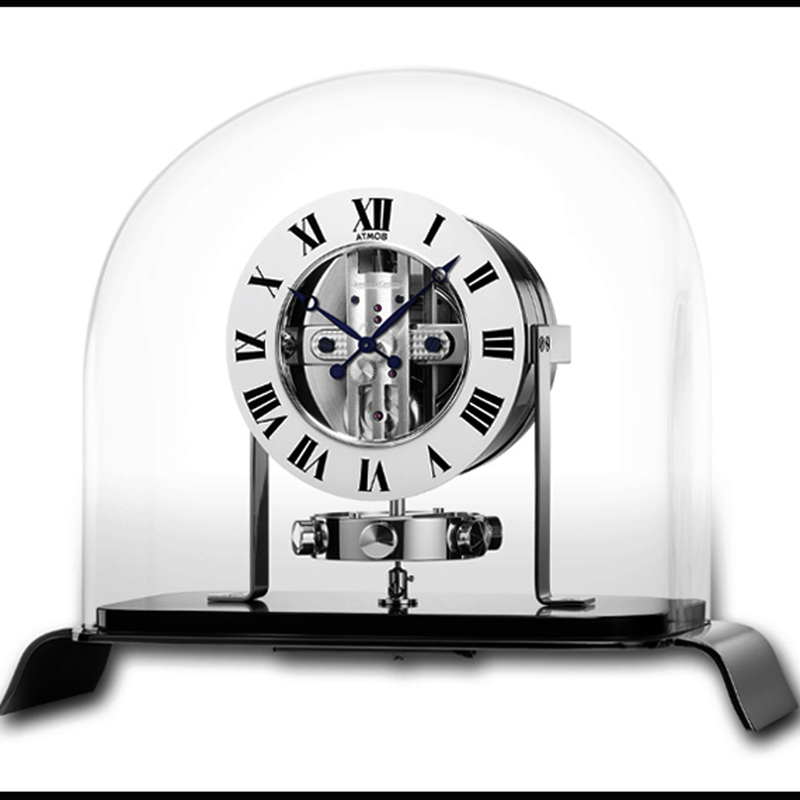 Housed in a bell jar, the Jaeger-LeCoultre Calibre 560 was surrounded by statuesque Art Deco elegance that matched the Calibre’s technical sophistication. 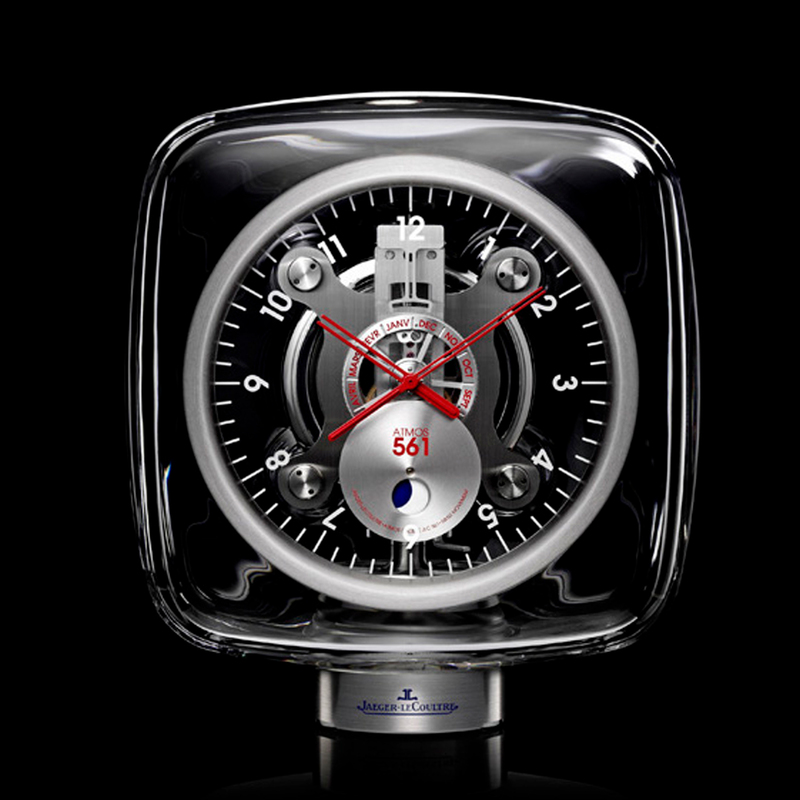 Simultaneously, the Marc Newson Atmos 566 was released He brought a new lease of life to the Caliber 566, the same movement that powered the Atmos Astronomique. 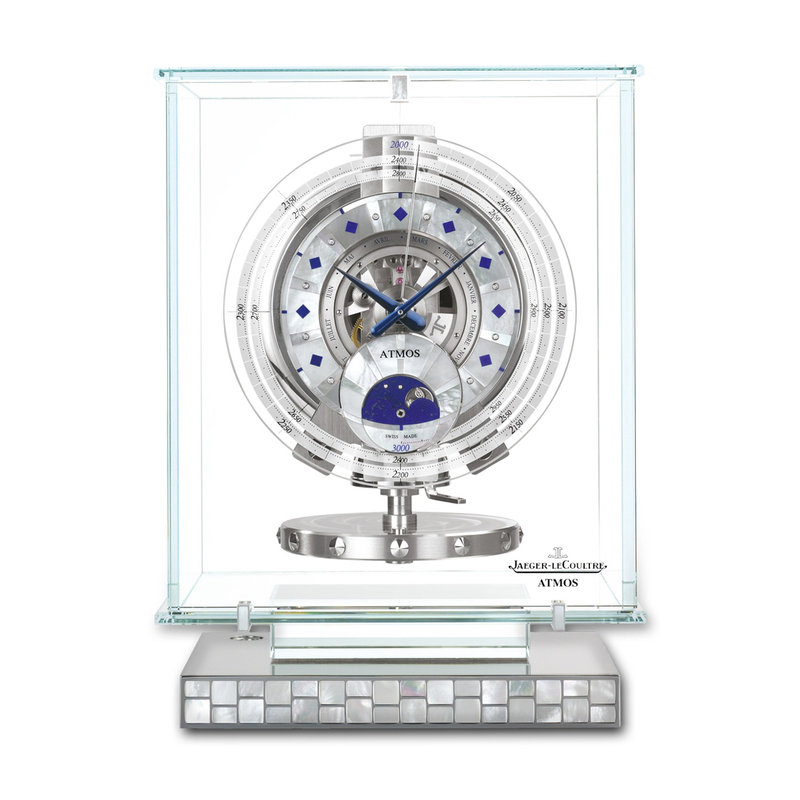 This time it took its place in a blue Baccarat crystal housing featuring rhodium plated feet. The generously proportioned cabinet allowed light to fall through and illuminate the sophisticated mechanism. 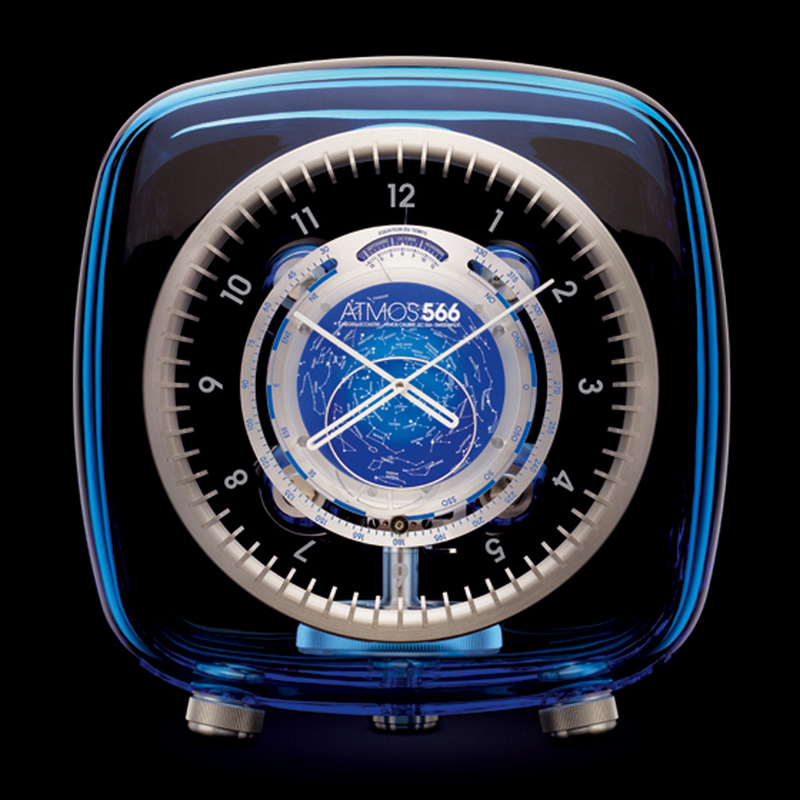 In many ways, the Atmos 566 was a veritable objet d’art that stood without equal. 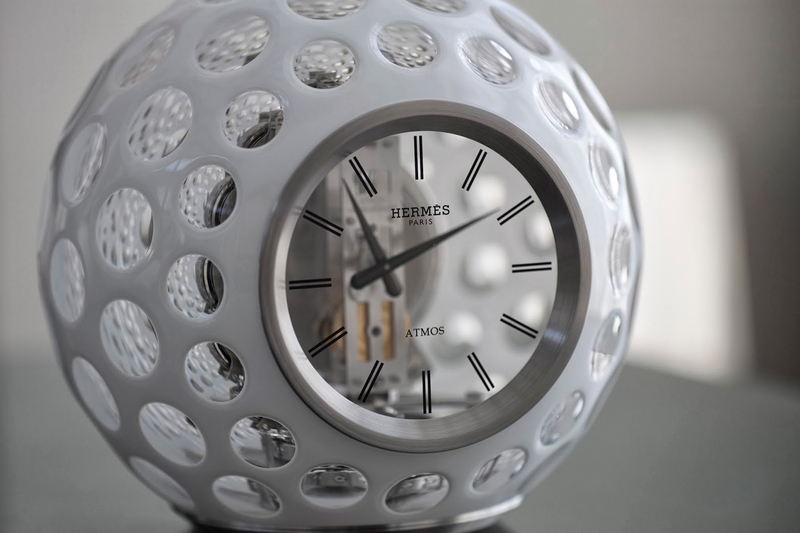 A year later, LeCoultre created the Hermés Atmos which was spherically shaped like a golf-ball. While the clock is manufactured by Jaeger-LeCoultre, the stunning crystal globe is made by Les Cristalleries de Saint-Louis glassmaker, using a double overlay technique that coats layers of glass over each other, including an enamel layer. In fact only six of the most talented glassblowers were capable of crafting this special double glass dome. Today, the Jaeger LeCoultre Atmos is perhaps one of the most critically celebrated lines of tabletop timekeepers—beholden to an invention that has never been bettered.